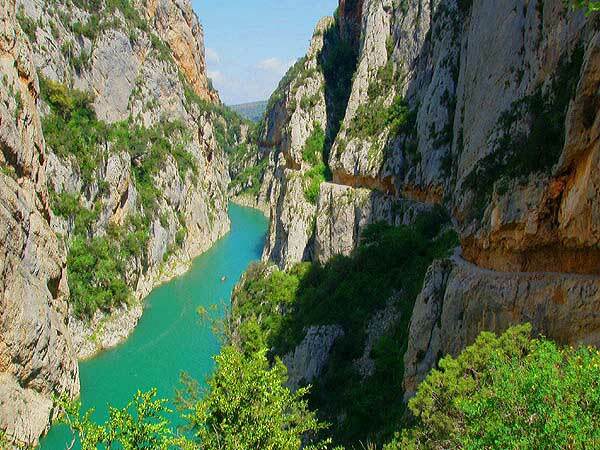 It is located in the municipality of Os de Balaguer, a gorge that forms the ravine Villages. In the cave are kept up to twenty-nine magnificent paintings painted colors. Possibly were conducted at various periods spanning the Bronze Age from 1800 BC to 650 BC. To turn to the cave from Vilanova de la Sal, we go to Os de Balaguer; Located ten minutes drive. There must follow the information panels that lead into the cave without any complications. 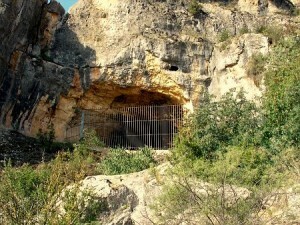 You can also visit the cave along with other attractions and activities in the area through guided tours. Find a www.ascalfo.cat. If you want to know more about this world heritage and rock art that is represented consult the website: www.lleidatur.com. Monastery are a few three kilometers from the entrance to the town of Vilanova de la Sal, despite belonging to the neighboring municipality of Os de Balaguer. 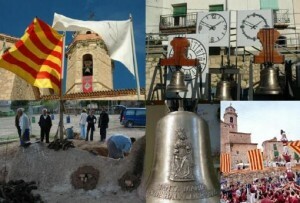 The parish, however, belongs to Vilanova de la Sal, and takes the name of the neighboring village of Les Avellanes. It was declared a national cultural interest in 1931. 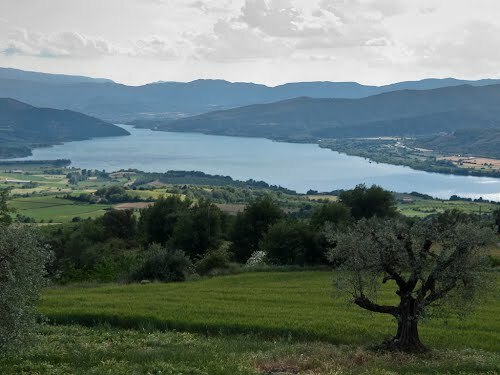 20 minutes from Cal Ribero, you find the facilities of PAM (Montsec Astronomical Park) that is located in the town of Ager, at a distance of 3.5 km from the village, along the road that leads to Ares. 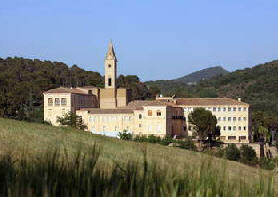 Following the same path and turning westwards after Ares can see the Montsec Astronomical Observatory. The PAM consists of two main elements: the Observation Centre of the Universe (COU) and the Montsec Astronomical Observatory (OAM) and is an initiative of the Government of Catalonia through the Montsec Consortium, to take advantage of skills and potential of Montsec area for conducting research, training and dissemination of science, especially astronomy. The PAM advantage of unique features that make Montsec the most suitable place for the installation of Catalonia • Installation of these centers. It is a new way of seeing everything around us, plus a visit relaxed and cultural learning fun. Meet schedules, fares and all the activities that take place on the website: www.parcastronomic.cat. The Vall d’Àger: is one of the places where nature shines for activities and opportunities are presented to us in different ways. We can do while visiting the Valley aerial activities such as paragliding, the ultralight flight balloon, etc. We can also make the water routes renting canoes or motor boat, from Mont-rebei to Done and Montfalcó. We must not forget the proposed trips on horseback or on foot to places like Mont-rebei Plan Witches, Via Romana, and other routes in the area. The Congost de Mont-rebei: This is the path to excellence in our region. 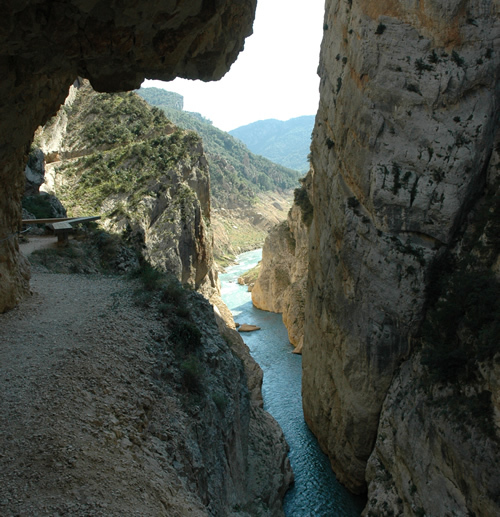 One of the most beautiful natural sites of Lleida, offering not only the landscape, unspoilt and away from the hand of man, but also the uniqueness of their itineraries immersed in the rock. It is a very complete itinerary with a wonderful setting, a show set in a wonderful natural protected natural area of over 600 hectares and declared a Wildlife Refuge, ideal for those who love ornithology. It is a route of 150 minutes (8 km.) And moderate difficulty. 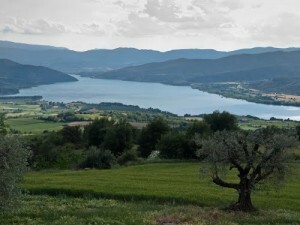 The route begins in the town of Cellers.This town at the foot of the C-13, a few meters of the reservoir Terradets is an interesting tourist attraction. Continue along the C-13 (direction Temple) to the people of Guàrdia de Noguera, Villa occupied a defensive position near the remains of the old Castle Guard, strategically located on top of a cliff where you can see the monumental Castle and Abbey of Santa Maria de Mur. Having visited all this, take the LV-9124 towards the village of Moror. We follow the trail that leads to the towns that form the municipality Sant Esteve de la SargaSet in a beautiful flat at the foot of Montsec and retains a small church with a Romanesque bell tower. At the exit of the village can visit Chapel of Our Lady of Fabregada. From there the trail and parallel • Drop the river reaches the town of Alsamora,which highlights the watchtower of an ancient fort that dominates the town watch from a hill and was part of the defensive set of buildings of the former medieval border Pallars. At just 4 km from the entrance to Alsamora there Mont-rebei. 2. By municipality Bridge Montanyana : At the exit of the village and the road leading to Temple, just across the river Noguera Ribagorzana, we turn to the right direction Alsamora and Sant Esteve de la Sarga. Continue following the information panels gorge, which soon will guide us to the parking lot of the Masieta. There will begin our walking route. Route Talarn reservoir – Temple – La Pobla de Segur:visit to the dam is a place to enjoy nature and its glory. It is approximately 50 minutes drive from Cal Ribero. There we see the immensity of the reservoir and feel the fresh air it breathes. During the journey, we recommend you stop and visit, among other Tremp and La Pobla de Segur. A Temple include the Pont de Sant Jaume Romanesque and where we will see the ravine les GesseresA place worthy of admiration. 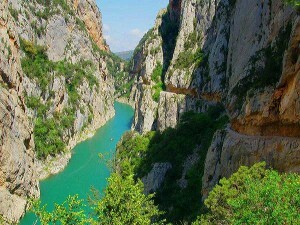 Pobla de Segur include the Nature Reserve Boumort and Collegats Gorge . Per més informació visiteu les pàgines web: www.ajuntamentdetremp.cat i www.pobladesegur.cat. Party carried out thanks to the Guild of Ringers of Catalonia is a non-profit organization, they started in 1987 and formed by people who voluntarily dedicate themselves to ensuring the conservation of the different traditions in the world bell. And has its registered headquarters in the Monastery of Santa Maria de Bellpuig de les Avellanes, in the municipality of Os de Balaguer. This meeting is usually organized in late April and is held annually. For more information please consult the official website: www.trobadacampaners.com. The caravan of these historic cars made by Rolls Royce among others, Martin Austin, Hispano Suiza and Renaults 4/4, part of Lleida and reaches the town of Ager around 12 noon. The motorcade has a great reception from the audience. The festival ends with a meal, which distributed the awards to several drivers participating in the concentration. Championship which usually involved a hundred pilots. The test is open and it is a championship distance, which is to reach an objective set previously, through a certain markers in the shortest possible time. The distances of the tests range between 70 and 170 kilometers, always depending on weather conditions. For more information see the official website Ager (www.ager.cat) or by calling 973 455 004. 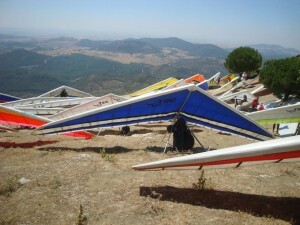 Ager is also the headquarters of the Paragliding World Championships open only to women. Ager Valley is an ideal place to practice adventure sports, with emphasis on the free flight with a tradition of over 20 years and the organization of numerous national and international championships. For more information on the activities undertaken consultation website: www.ager.cat.